Quarn - For creating ArchiveInvalidation Invalidated which is what this programs idea came from. Hello all, I have just uploaded a beta on November 23, 2010 - I was written completely in theory and may or may not work, please report any problem you come across, or please inform me if it simply does not work. I have not tested this, its written on emails and forums I have read on how to fix this problem. I do apologize for taking so long. I work a full time job and also attend college as a full time student, my hours are limited because most of my free time is taken up by homework. Sorry to inform everyone, Fallout New Vegas was patched and it broke this, I am going to try a fix this tomorrow, but since I haven't even had the chance to play this since Sunday, I don't know what is exactly happening, if anyone know what happened please pm me so I can try to fix this, thanks. 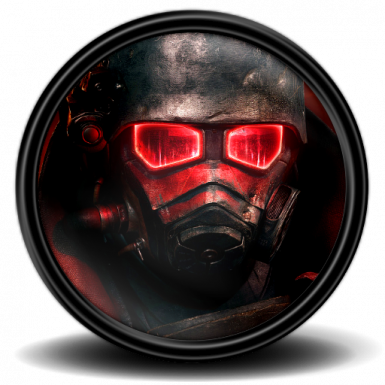 Unless something is completely broken to where most users cant use this file, I am taking a break from this and working on an actual mod for Fallout New Vegas, Hope you all keep an eye out for it, Its going to be called "WMO-Weapon Mods Overhaul", Fixing and adding new features to Weapon Mods! I will check and reply to all comments, emails, and questions you may have with this program still. So if you need any help with this or anything else involving mods, I have been doing it for a few years, I will be more than glad to offer you help. This is not a port of Quarn's program ArchiveInvalidation Invalidated! I did not look at his code nor do I know how he did it. I based my idea of his hence the reason he deserves all of the credit. This program eliminates the need for ArchiveInvalidation.txt by creating a dummy bsa and loading it. -Currently Reqiures .Net Framework 3.5. -Once you've "Activated" Fallout New Vegas ArchiveInvalidation Invalidated! you do not need to keep it running to receive its effects or activate it again when adding/removing textures etc. -This file must be run from the data folder. Sorry, this isn't advanced as Quarn's version at least not yet, stay with me as I try to bring it up to par. -Launch from anywhere, your desktop, data file, even the fallout new vegas directory. -WARNING: The AII-FNV!.bsa still must be located in the data folder. -Now works for anyone who bypasses the launcher. Did you not want to see the launcher every single time you launched Fallout New Vegas, well now you can and even have Fallout New Vegas ArchiveInvalidation Invalidated! work with you workaround. =Fallout_default.ini - in the fallout new vegas directory. =Fallout.ini and FalloutPrefs.in - found in your my games folder in your documents. -Automatically deletes the ArchiveInvalidation.txt in the data folder, why you may ask? This file has been known to cause problems in Fallout 3 when using ArchiveInvalidation Invalidated!, so I figured I would jump the gun on it. Program Version - I don't give you two options because Quarn's version will work perfectly for Manually. -set bLoadFaceGenHeadEGTFiles to 1 which is supposed to fix problems with NPC's added by mods to have a proper face to skin as set in the GECK. Forgot about this, sorry. Probably going to get around to it alter, doesn't seem that important right now, and I want to head off to bed, so probably tomorrow. -And if you can think of anything let me know, ill try adding it. -Allows users to select the three main files if my program cant find them. -No longer deletes ArchiveInvalidation.txt, I still recommend deleting this file though. -Works with people who bypass the launcher.